Dazzle them this Holiday season with a shimmering silver tower overflowing with gourmet sweets and savories! 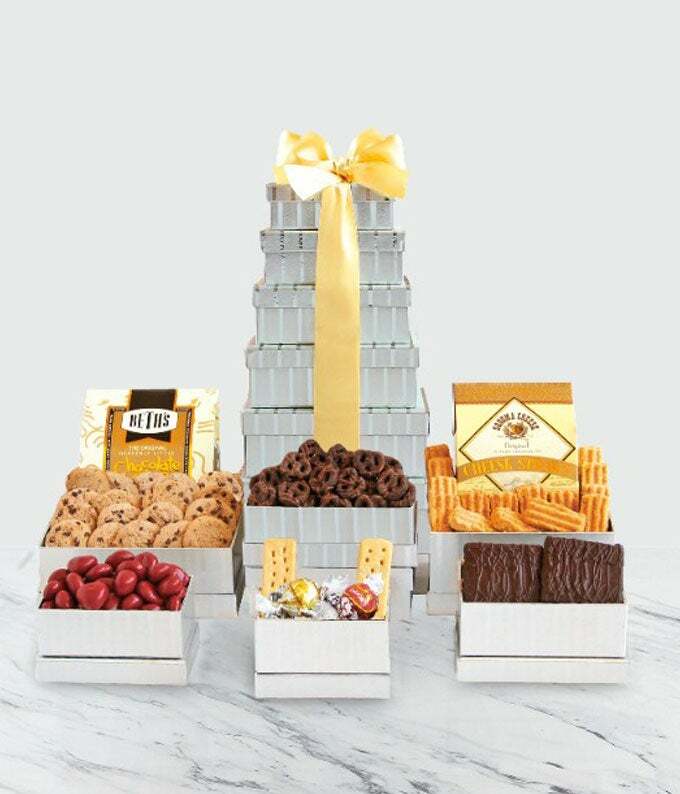 Each box is filled to the brim with tasty surprises, including chocolate covered graham crackers, Walker's shortbread cookies, chocolate covered cherries, chocolate chip cookies, Sonoma cheese straws, Lindt truffles and Godiva® chocolate covered pretzels. This is a gift designed to delight and is perfect for friends, family and colleagues.